According to the hairdressers the hair texture plays the most important role while choosing a style that suits your personality. If your hair is curly then you can style it in various ways. The curly hair is popular not among the girls only but also in men. The curly strands of the hair can be arranged in different ways to make your appearance more interesting and charming. You can also use some good quality gel and creams on your hair to hold the look. The curly hair naturally looks thick in volume and messy in texture. These two combinations can create an amazing makeover for you. There is some Men’s Hairstyle for Curly Hair that can give you a complete classy and trendy makeover overnight. You can manage these styles easily in your busy days. You should also keep in mind the shape of your face and volume of the hair before choosing a style. The combinations of two or more styles can also give you a new look. These styles are not only easy to maintain when you are going out in your busy schedule but you can also look best in these styles if carried well. These stunning styles are trendy and classy. You can opt for any of these according to your face shape complexion and personality. Though maintaining curly hair is tough but you can make it easy by using some good quality gel on your hair. You should comb the hair well to get the perfect look. If you want to get a smart and prominent look then you can go for the side fade haircut. In this style, the edges of the hair remain prominent and the sides are cut in such a manner that you can get a prominent shape of the face. This hairstyle looks best with the short curly hair with beards and mustaches. The hair of the sides is cut in the smaller razor style and the hair of the middle portion is kept longer. The blonde color curly hair can be cut in the short length to look gorgeous. The curly hairstyle on your scalp looks messy and casual at the same time. This can make the look of your hair thicker and manageable. The blonde color of the hair can also give you a trendy and smart appearance. If middle length curly hair suits your personality then you can make it more suitable by adding some fringes in the front. The haircut up to the length of the shoulder and it looks smart with the beards and mustaches. The side-parted hair can be managed by using some hair gel. This can help you to get a smart yet gentle look. Mid skin fade style is one of the trendiest hairstyles that can help you to get a nice makeover overnight. People with curly hair can opt for this style where you need to cut the hair on one side in razor style keep the hair on the other side longer. You can make the cut prominent by creating two faded lines on the razor cut hair. The natural black curly hair can be cut into tapper style. In this style you need a thick volume of hair. In this style, the sides and the backside of the hair should be cut in the smaller size and the front middle portion of the scalp should have long hair. The hair up to your forehead can give your face a prominent and perfect shape. It can also sharpen the parts of your face. You can try this style on any complexion including dark one. People with long beards can style their hair in a suitable manner. The curly hair with hard part and fade part can make your look smart classy and unique at the same time. In this style, the hair of one side should be cut in very short razor like the shape and on the other side the hair should be kept longer. In the sides of the hair should be shaped uniquely to give your face a prominent and perfect shape. The side swept style looks great with the curly hair. If you want to get a perfect modern look then this is the best option for you. In this style, the front side of the hair is kept long and the shorter strands go gradually backwards. This style can give you an absolute messy and stunning look. You can try this haircut with beards and mustaches. The skin fade hairstyle can be combined with the texture curls to look gorgeous. In this style, you need to shorten the hair on both sides gradually and keep the hair longer in middle portion of your scalp. This style looks perfect on the natural hair color. This look can make your face perfect in shape. 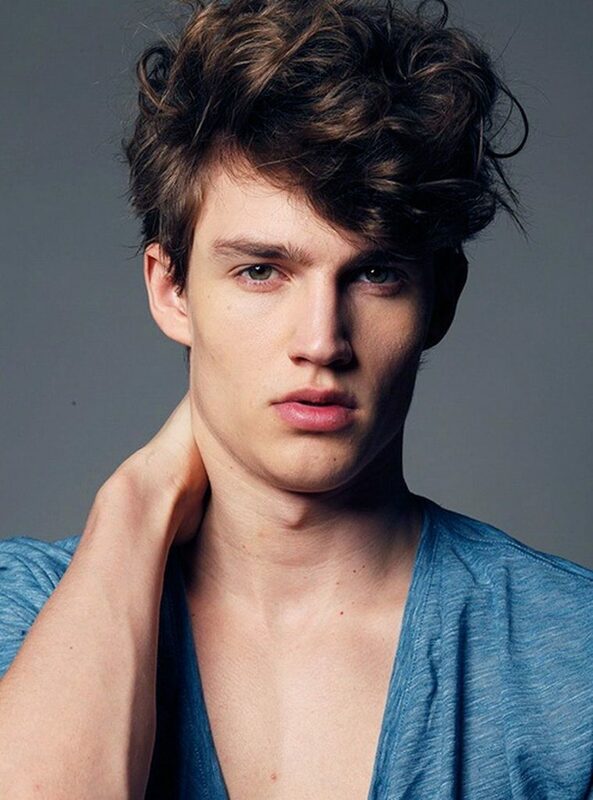 This particular undercut with long curly hair is perfect for them who want to look totally unique in the gathering. In this style, the hair is needed to be part on one side. Then the hair of one side should be cut in undercut manner and the other side’s hair should be kept longer. This style looks best on the highlighted hair strands. You can use some good quality hair gel to hold the look. This bohemian style suits well with the beards and mustaches. This Curly Quiff haircut is for the people who want to look bold and smart. In this style, you need to part the hair from a side. The sharp edges of the hair strands can give you a prominent and bold look. The brownish shade of the hair strands in this style looks perfect. You can get a neat and clean smart look by cutting your curly hair in the short length. The hair should be highlighted and you should use some gel or wet hair products to uphold the hair strands. This can give you a classy an elegant look at the same time. The angular fringe looks awesome with the curly hair texture. You can style your hair in this manner to shape your face well. In this style, the curly hair of the front side comes on the part of your forehead and makes your appearance smart. The shorter hair on another part can keep your look neat in this style at the same time. If you are finding a way to make your look stylish and funky at the same time then you should follow the side-parted curly hairstyle. In this simple hairstyle, you can get a casual and funky appearance at the same time. The long length hair on the front side can hide your wide forehead and make you look classy. The short length curly hair with no prominent partition can give you a smart and bold look. The curly hair should be combed in backwards to get this look. The hair is cut up to the length of your shoulder and the upholding of the curls can make your appearance smart in this style. You can use a good quality gel to hold this look for a long day. The mid taper thick hair is the best style makes your appearance smart and prominent in the crowd. In this style your hair is cut in shorter length on both sides and longer in the middle of the head. 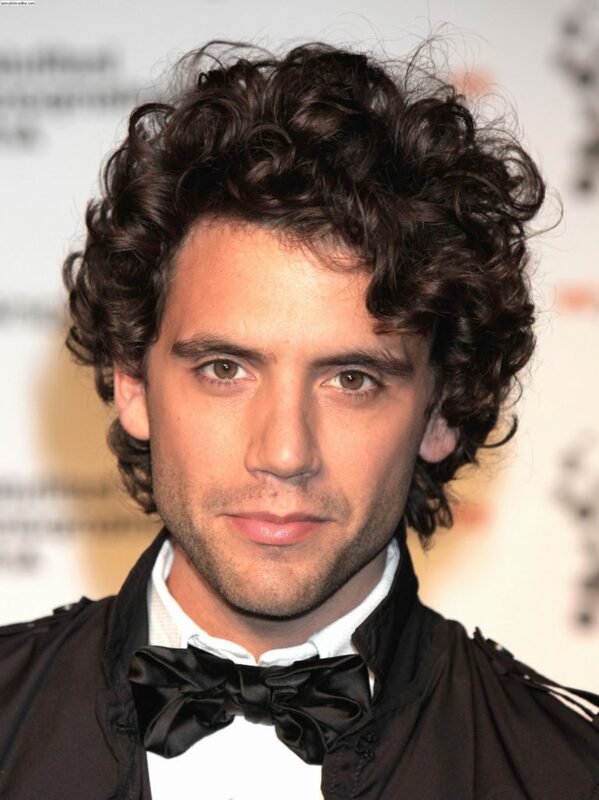 The thick and short curly hair can give you a smart look in this particular style. This style looks great on the natural black color hair. Drop fade hair suits best on the curly hair. You can highlight the hair strands to get a prominent look in this style. You need to cut the hair in razor style on both sides and longer in the middle portion. You can use some good quality hair gel to keep the hair strands uplifted in this style. The hair volume looks thicker in this haircut as well. The sharp edges of the hair can make the shape of your face prominent as well. The middle length curly hair can be cut in a stylish manner to make your look bold and little messy. In this style your hair is cut up to the length of your shoulder. You need to back brush your hair to get the best look in this style. A good gel or hair cream can hold the style long day. The brownish color hair is perfect for styling your hair in this manner. It can also hide your hair volume and give your face a round shape. Long curls up to your shoulder can give you a messy look when the hair curls are spread on the forehead. In this style you can hide your wide forehead and use a hair gel to make the hair strands prominent. The highlighted brownish hair can help you to look perfect in this style. The hair edges can give you the round face shape as well. This is another messy haircut on curly hair texture. In this style you can highlight the hair strands and the curls remain longer in the front of your head. The curls on the forehead can create a messy look and help you to look gorgeous. The shorter neat hair on both sides with the sharp edges can make your appearance more noticeable. The short curls on the head in medium length can create a frizzy look. You can style this hair to get some messy appearance. The hair strands with sharp edges can help you to get a smart and casual look. You can use a hairspray to keep your look intact. The curls on the forehead and up to the shoulder on the back side can give a smart and classy look. If you want to look trendy and unique in the crowd then selecting the loose curly style is the best choice for you. In this style, you need to cut the front hair in a unique manner. The front hair should be on your forehead up to your eyes on the one side. And on the other side the hair should be shorter in length. The style of this front hair can give you an entirely new look overnight. The long beards should be combined with the curly undercut to look classy and smart in the modern days. You need to highlight your curls in the middle of the hair and undercut the hair on both the sides to get this unique yet remarkable appearance. This style makes your hair volume thick. The combination of long and short curls on the scalp can give you a light messy look as well. This modern and smart style can be held by using some hair gel and cream. The black men also look awesome if they know how to style their short curly hair. The Undercut hair can give the face a bold and tough look. You can also cut the curls in a chopped manner to get the best appearance. It looks great with black beards and mustaches. The backside hair should be cut in the shorter manner up to the shoulder. The hair strands should be kept black naturally to get the best look. People with fair complexion can opt for the best curly hairstyle with beard according to their face shape. The razor cut hair along with the razor cut and long beards looks perfect on the people who have round face shape. This style looks best when your hair and beards are black and thick in volume at the same time. You need to use some wet gel for maintaining the look after styling properly. Thick hair volume can be designed in various ways but styling in a particular manner according to your complexion and face shape can give you a new look. You need to part your hair from a side then cut the hair longer on one side and shorter on another. This style looks perfect with brownish hair color. The longer hair on the forehead can give you smart and messy appearance. If your complexion is fair then you should opt for this style without any doubt. Men’s hairstyle for curly hair has a wide variety and you need to select any of these to look perfect in the crowd. These styles are suggested by the hairdressers who are updated about the modern styles and understand the requirements of the young generation. So, to look bright choose any of these and change your look now.